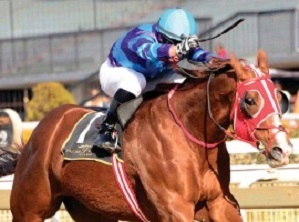 Ken Nicol: Andre Nel’s Querari colt Pleasedtomeetyou kept his unbeaten record in the Sophomore Sprint at Durbanville on Saturday, but was made to work hard by Greg Ennion’s Elusive Trader. 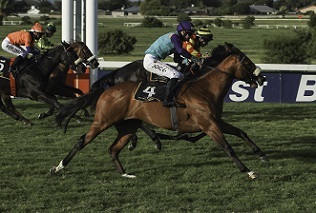 Run over the extended sprint trip of 1250m, the event was priced up as a boat race between the eventual winner and Snaith runner Clouded Hill, with both going off at 16-10. Pleasedtomeetyou had shown blistering speed on debut, and went off to lead, but was restrained by Bernard Fayd’Herbe as he allowed Top Of The Class around him to take it up after a couple of hundred metres. Coming to the final furlong there were only two left in it, and both Elusive Trader and Pleasedtomeetyou shifted out under pressure. But Fayd’Herbe coaxed a final effort out of his mount, and prevailed by a neck in a driving finish. Top Of The Class stayed on for third, but Clouded Hill failed to fire at all, and ended with only rank outsider Sailor Sam behind him. Fayd’Herbe was surprised by how uptight his mount had been in the preliminaries. “At home he’s very relaxed, but today he was boisterous and revved up. It was a very gutsy win” was how he summed it up. Nel said the winner was “a lovely horse, but we will have to play it careful with him. Full credit to Bernard for getting him home”. 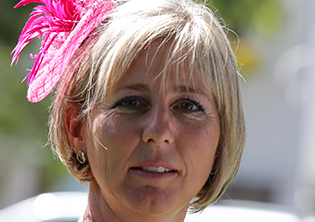 Sabine Plattner’s private trainer had a good day overall, as earlier unfancied Capoeira had scored easily in the first leg of the Pick 6 under Greg Cheyne. Few punters were cheering though, as the Oratorio colt went off at 18-1, and beat most pundits’ top bet of the day Herodotus into second. Blue Flower was also runner up in the FM82 1600 as the stable enjoys a decent run of form. 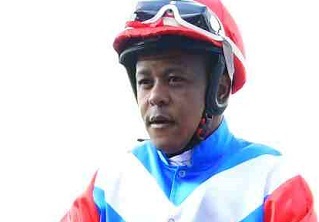 Richard Fourie had a quiet day by recent standards, with only a single winner. And he had to produce some magic to get that one home, with Red Mars winning the MR80 1600m by a neck. 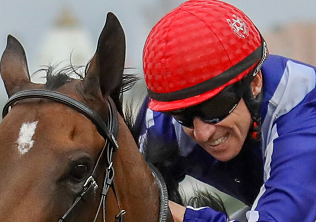 “I have to give Richard a lot of credit – he got the horse’s mind back on the job. 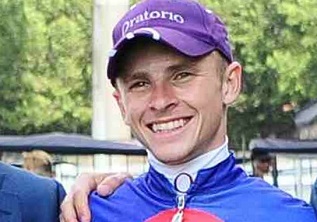 I thought we were in trouble halfway up the straight” said a grateful Justin Snaith post race.